I imaged IC410 over a single night using my Explore Scientific 102mm FCD-100 telescope, ASI1600MM-Cool camera, and the ZWO narrowband filters. I took 75 images that were exposed for 5 minutes each. 25 HA, 25 OIII, and 25 SII images in total. 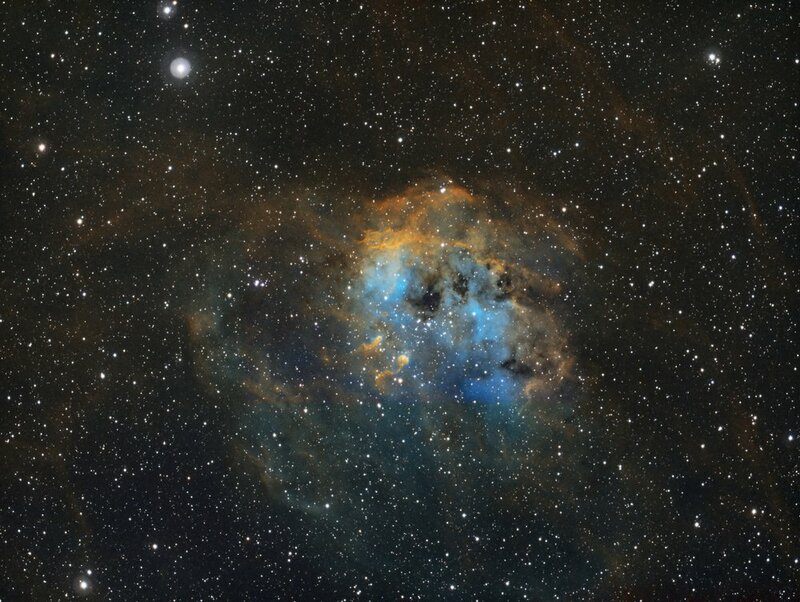 I used AstroPixel Processor to combine and integrate the images into a single master HA, OIII, and SII frame. From there I imported all three into PixInsight and followed this Light Vortex Astronomy tutorial for processing the individual frames. Note that their tutorial covers a two frame process, and I had three. I just applied the same processing techniques to each of my three frames. Once done, I wrapped up the tutorial and concluded with the finished image seen above. I also went back to this same image and reprocessed it in the Hubble telescope pallet.